Comply with all applicable Occupational Health and Safety regulations, and apply reasonable standards where regulations do not exist. 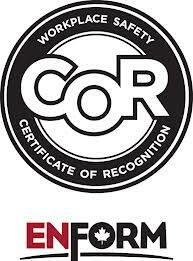 Members of ISNetWorld and ComplyWorks for safety program maintenance and verification. Conduct regular safety meetings to ensure all safety concerns are being discussed amongst all employees. Provide suitable equipment and training programs that will ensure employees are proficient and safe in their job activities. 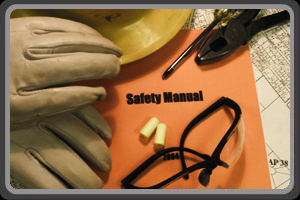 Recognize good safety performance when selecting contractors and suppliers. Maintain an active hazard identification, assessment and risk control program. Ensure systems are in place for reporting and investigating incidents and accidents. Sustain emergency response plans that enable personnel to respond promptly and effectively. Management abides by every aspect of this policy, encourages all employees’ active participation in the Health and Safety program, and ensures that Exile Automation maintains an effective Health and Safety program. Exile Automation requires the cooperation of every employee to ensure a safe place in which to work. By fulfilling our safety responsibilities, everyone who works for our company will share the benefits of a safe workplace. For further inquiries regarding Exile's Safety program, please contact us.